If you have had your senior pictures shot at another studio, and are not happy with the results, bring the proofs to us with your receipt, and we will credit the session fees you paid to them, (50% or up to $100 of session fees) toward your Senior Pictures Experience with Behm Photographics. It’s simple, we want you to be happy! 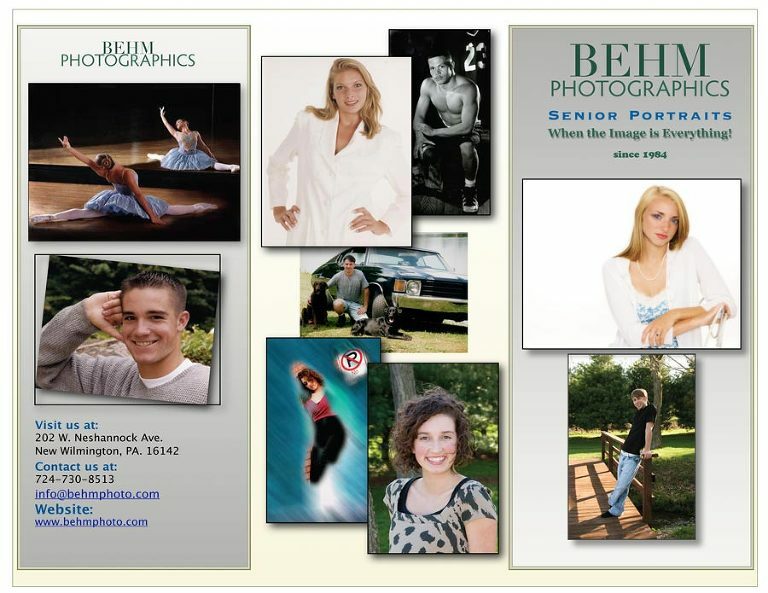 We’re so sure that you’ll be happy with your Senior Pictures at Behm Photographics that we offer this guarantee. If you’re not happy, we’ll do every thing we can to make you happy, or we’ll refund the money you’ve paid us. It’s simple, it’s bold, and it’s the right thing to do. Does this sound like something you or one of your friends have been through? If so, talk to us at Behm Photographics. For 26 years we’ve been delivering the very best in photography to clients around the world, from right here in New Wilmington. You didn’t know? That’s because for years we shot for advertising clients, and we’ve now expanded into personal photography, with the emphasis on personal. We regularly serve New Castle, Neshannock, Laurel, Shenango, Union and Wilmington in Lawrence County, and Mercer, Sharon, Hermitage, Reynolds and Grove City in Mercer County. Don’t sit at home sad and disappointed in your important senior photos, call us at 724-730-8513. « 2011 Seniors, Come to the Pizza Party! © 2016 BEHM PHOTOGRAPHICS – JEFF BEHM PHOTOGRAPHY – FREDERICK, MD|ProPhoto Photography Theme|Design by Northfolk & Co.